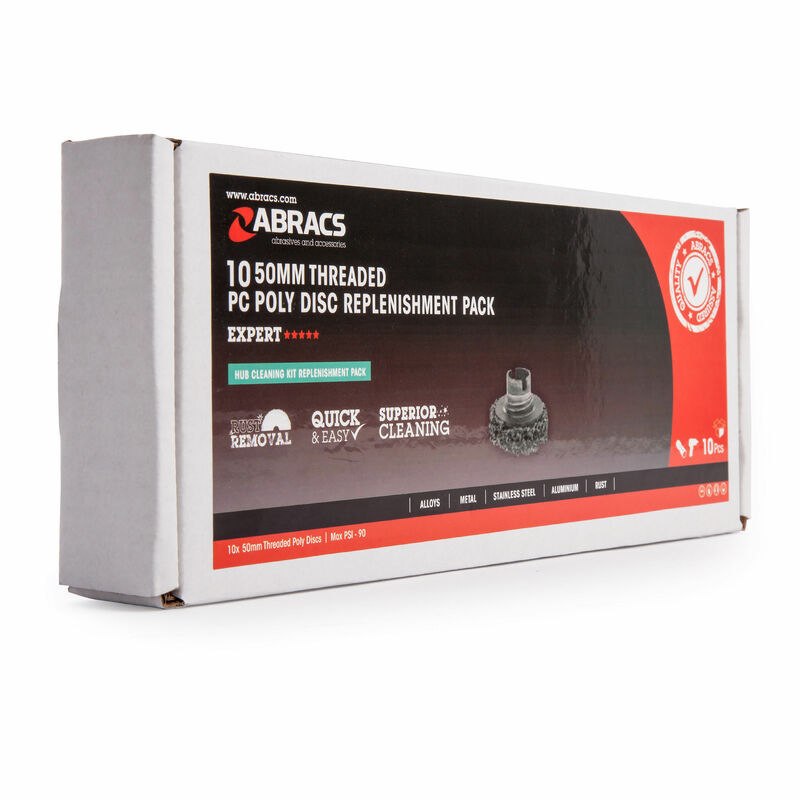 The Abracs HCT2 Kit consists of 10 Polydiscs 50mm diameter. Ideal for removing rust from brake discs and hubs. The anti-clog construction keeps the abrsasive minerals cutting at a higher rate. The Polydiscs are designed to fit an alloy adapter (not included) which enables quick disc changes with the convenience of running on high powered tools. Can also be used on paint before preparation. The unique design of this product ensures a minimal risk of scratching the work piece during use. Ideal for use in hard to reach places. 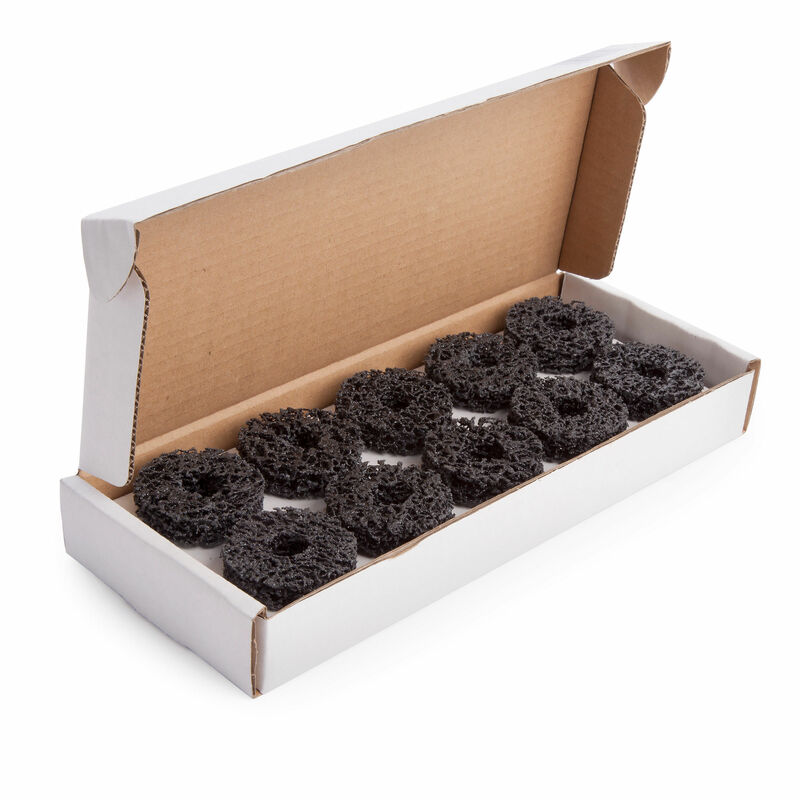 The Abracs HCT1 Brake Hub Cleaning Kit includes the alloy power tool adapter with 1/2 inch drive needed for HCT2 Kit.